The Scout 1.2L Water Filter Hydration System by RapidPure takes your hydration pack to a whole new level! 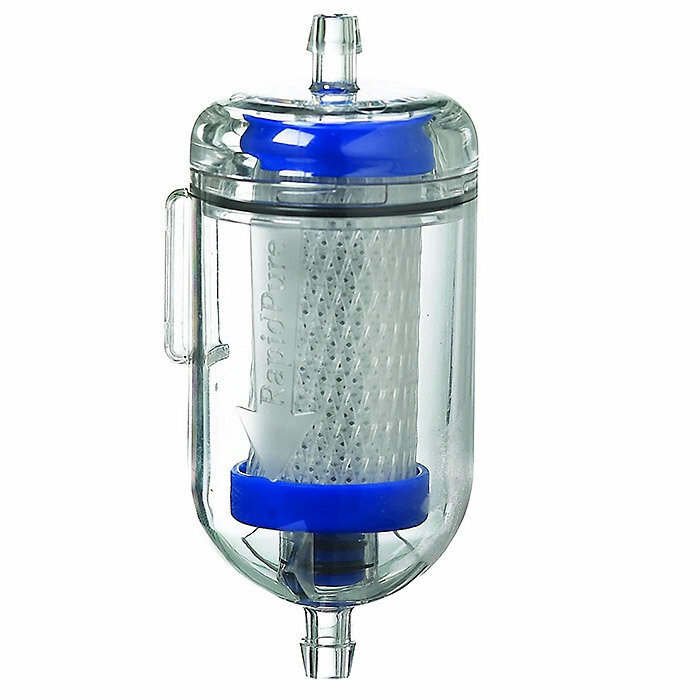 The UltraCeram filter removes and reduces cryptosporidium, giardia, cysts, bacteria and viruses without the need for chemicals. Compatible with most hydration packs simply splice the filter housing to your existing hydration pack hose for filtered water wherever you go. The 2.5 inch filter has a super fast flow rate of 1.2L per minute allowing you to drink from the pack normally without needing increased suction. Hydrate on the go with the RapidPure Scout 1.2L Water Filter Hydration System!